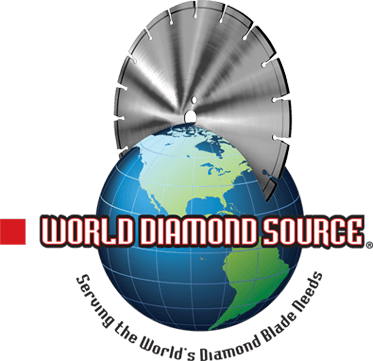 What is World Diamond Source? World Diamond Source (WDS) is the world’s premier supplier of diamond saw blades, core bits, and concrete polishing and grinding tools for professional contractors. Why is WDS the premier supplier? 1. Unmatched Quality. As an industry pioneer and leading diamond tooling innovator, WDS sets the bar on quality and value. WDS maintains exclusive relationships with top overseas factories and is the developer of multiple proprietary manufacturing processes, ensuring no one can match WDS’ cost per cut, the true measure of diamond saw blade value. 2. Factory-Direct, Low-Overhead Prices. WDS’ commitment to superior value is reflected in the company’s easy, direct-selling process. Whether online or by phone, WDS makes it easy to order as few or as many blades as you need, with next business day service available. 3. Platinum-Level Customer Service. WDS experts are at your service with trusted advice on the best blade for your needs and budget. “Building Relationships That Last” is the WDS motto, and means there is no better way to win your business than by earning it the old fashioned way with outstanding products, value, and service. Is it easy to do business with WDS? Absolutely. For details and pictures of nearly 2,500 diamond saw blades, core bits, and concrete polishing and grinding tools, visit WorldDiamondSource.com, where you can order online or download. WDS’ 116-page catalog (printed version available on request.) WDS offers the industry’s most comprehensive selection of diamond saw blades and the friendly, expert team ready to support your project needs. What’s the Best Diamond Saw Blade for Your Application? With nearly 2,500 SKU’s in stock to choose from, count on your WDS Customer Service Professional to work with you to identify the options of exceptional value.